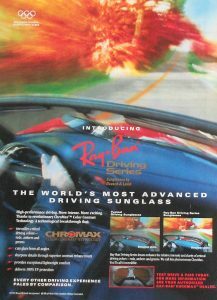 The most desired item by far, are the Ray-Ban sunglasses by Bausch and Lomb (B&L), model Chromax, driving series. Mostly a standard model from the B&L line, one glass was engraved with gold letters T-5R. 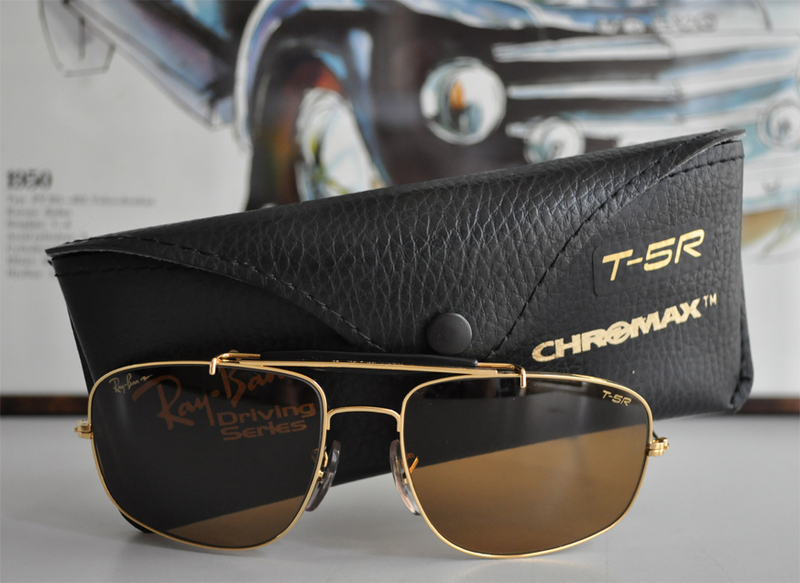 T-5R gold lettering, next to Chromax in gold, was also printed on a decall on the case. 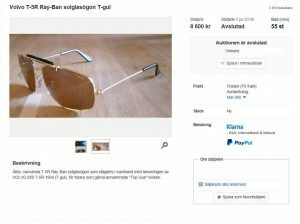 Some say, mostly connoisseurs, that the frame is gold-plated, allegedly. It might therefore be rather expensive by itself already. The small engravement into the glass makes it unique and therefore almost priceless. 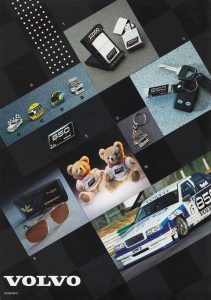 The glasses were also listed in a BTCC merchandise brochure. 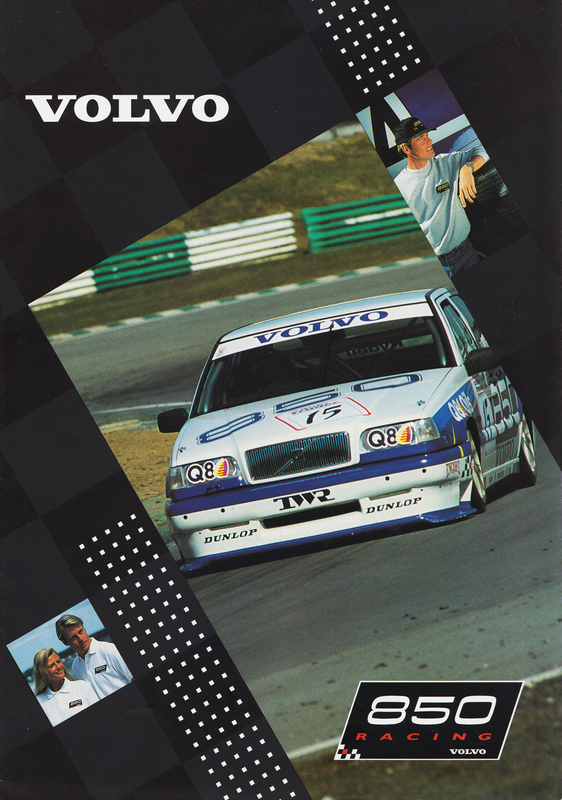 Each of the T-5R owners in Sweden received the glasses as a present from Volvo of Sweden’s CEO Fred Andersson, in february 1994. 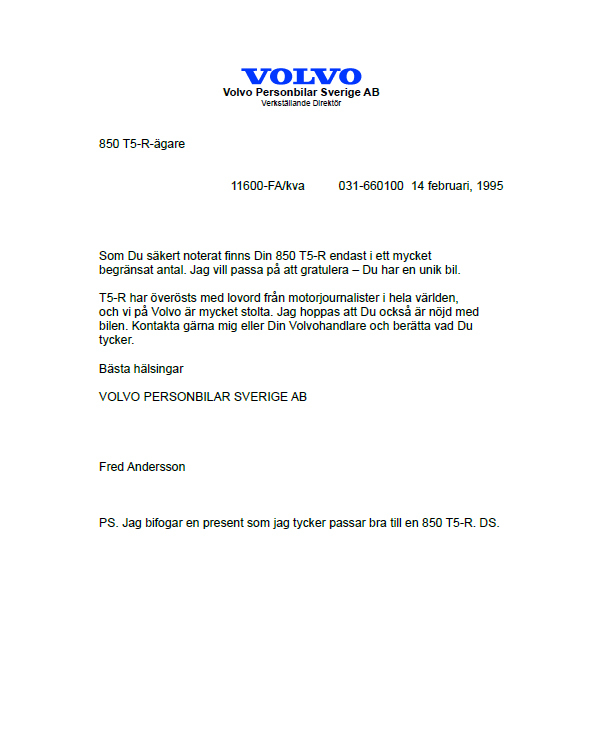 According to the accompanying letter, Volvo was eager to know what the new owners thought about the car. Number 2 on the T-5R collectible list. 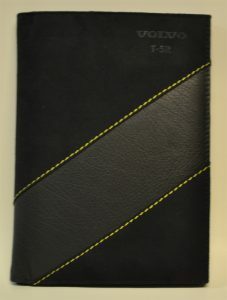 Every T-5R was supplied with a specific T-5R leatherette pouch matching the style of the upholstery uniquely found inside any T-5R, rather than the more simple grey pouches supplied with any other 850 thus far. 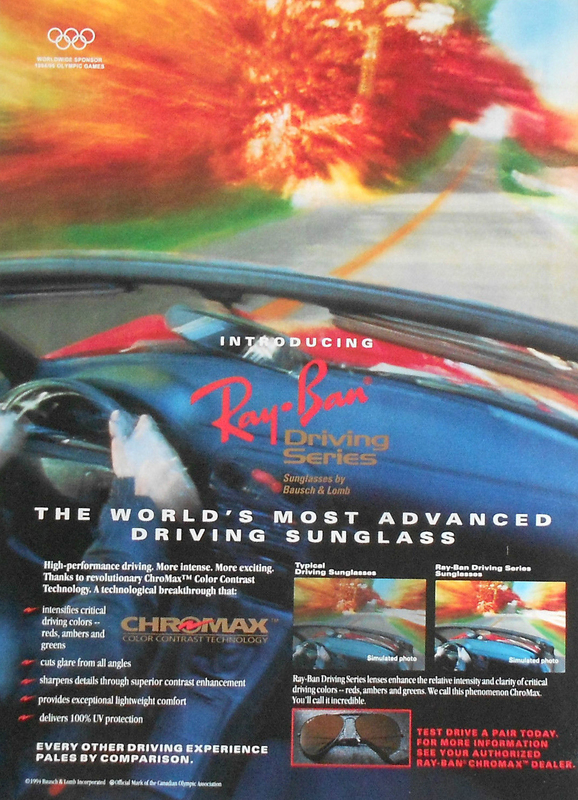 It would hold the owner’s manual and other papers belonging to the car. The content could differ, but the manual with the T-5R-inlay in it (see publications) was always present. 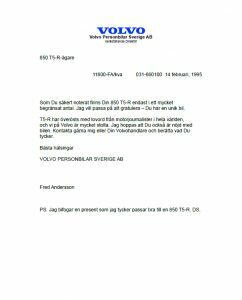 There should be at least 6.000 to 7.000 T-5R pouches in existence, concurrent with number of T-5Rs produced. 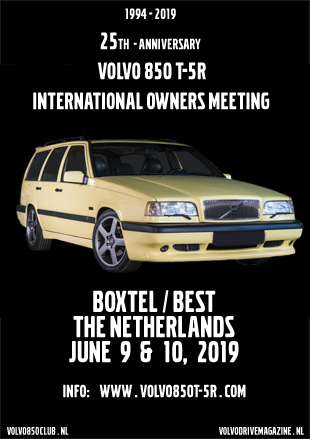 However, it seems that they are collected by non-T-5R owners as well, making it an even more rare item, resulting in very high market-prices for that collectible today. Two pins are known with a front view of the T-5R. 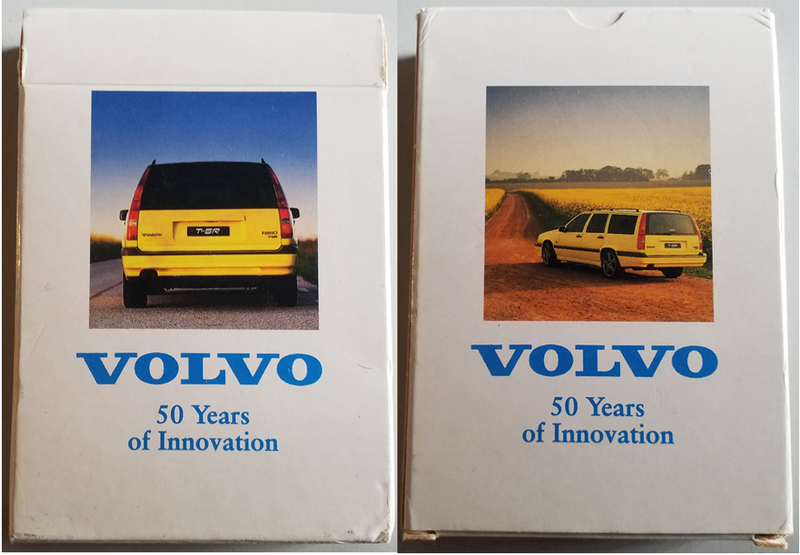 One with a black car and one with the yellow car. 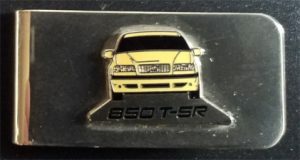 The pin of the yellow car is also used for a moneyclip. 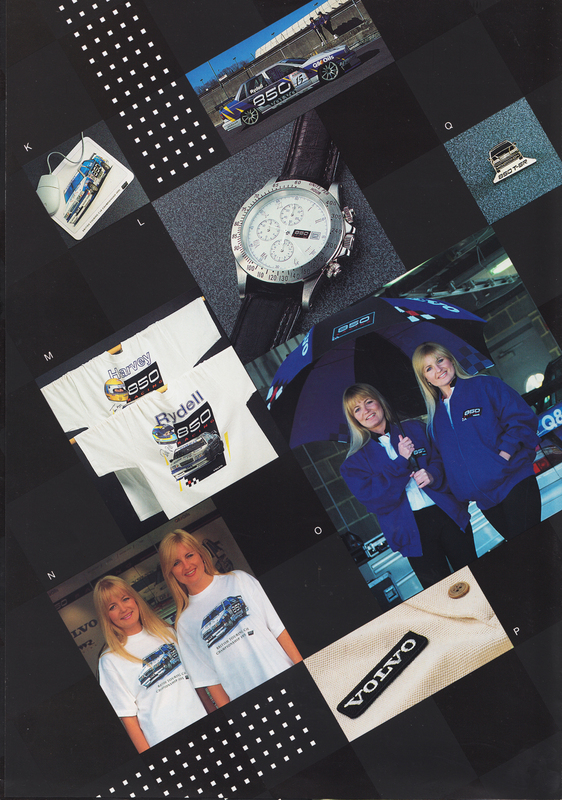 During the BTCC era, a couple of BTCC 850 Racing watches were issued. 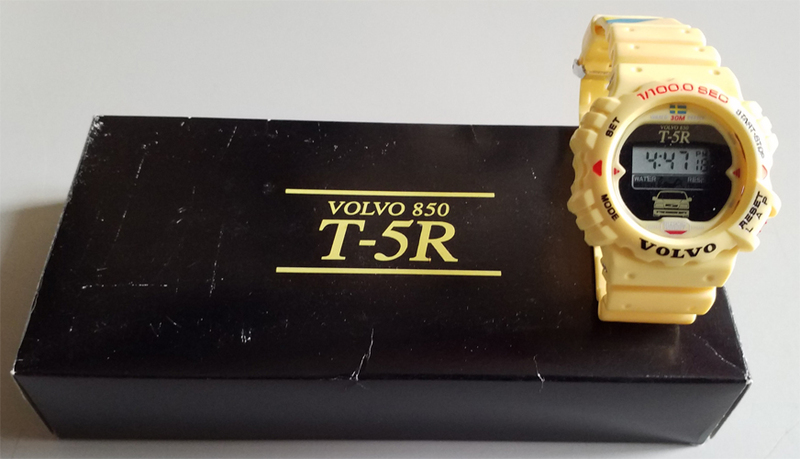 A big yellow watch, completely dedicated to the T-5R, was issued in Japan. 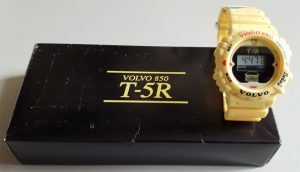 The watch is rare, but to be honest, it will not get a prize for the most beautiful T-5R gadget ever made. 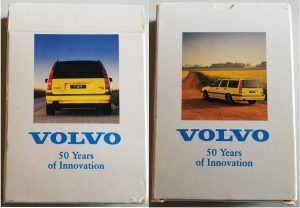 Volvo issued a set of playing cards on the occassion of 50Yrs safety. 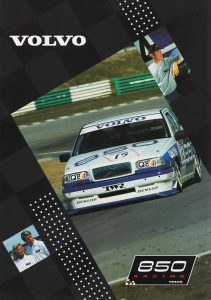 The aces were printed with four of the pictures used in the press release at time of introduction of the T-5R. These two collectibles are hard to find. 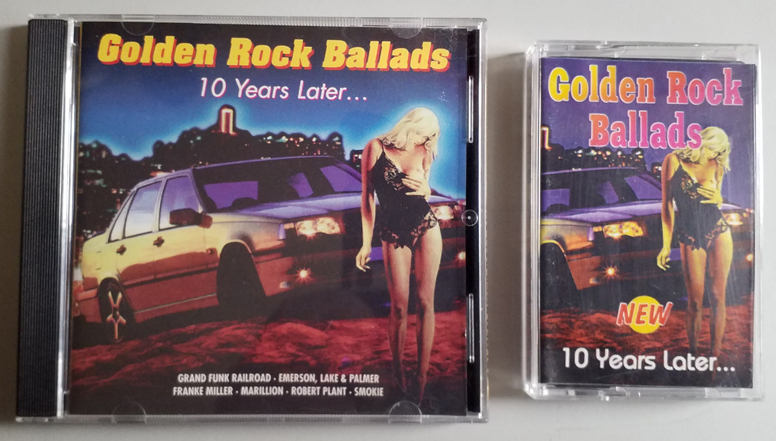 Both musical items have a T-5R sedan on the cover. This is not a comprehensive list of all collectibles. 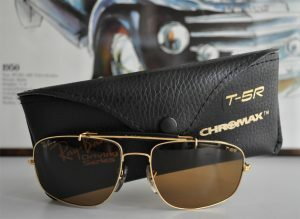 There are some more T-5R themed goodies. We’ve seen a shopping bag in the past, but unfortunately it’s not in our collection yet.